Every now and again I host some beloved people to a fancy dinner. It could be for a special occasion such as Christmas, or it could be just because I felt like it. Anyhow, the need to set up the table in a stylish manner is always there. These botanically inspired ramekins are the answer to my long lasting prayer – an elegant piece that is designed not only for serving at the table, but also for decoration. It is made of hand-painted ceramic and it is microwave and dishwasher safe. Sized 4″Dia, it is available in different designs: Trillium Stinking Benjamin, Iris Persian Berry, Delphinium Greek Blue, Poppy Welsh, Daylily Oriental, Nasturtium Orange and Nasturtium Sienna. 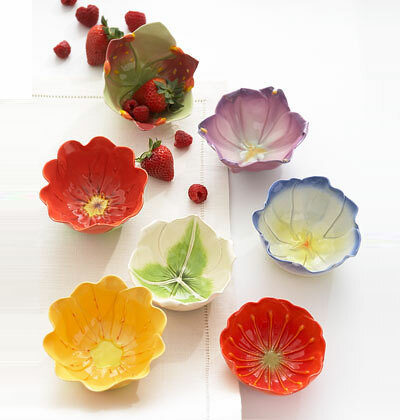 Handmade in Cape Town by Kate Carlyle, these charming ramekins were inspired by the botanical form. 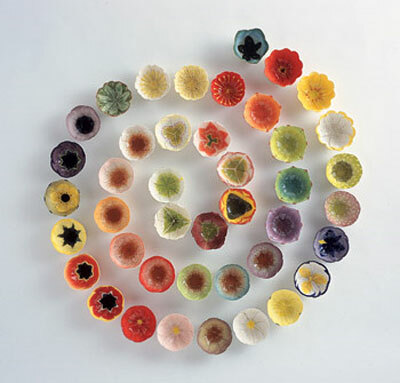 The idea was to make beautiful ceramic flowers that were both usable and lasting, flowers that were meticulously crafted, and yet simultaneously robust and functional. This is a classic piece that could be helpful for food preparation as well. 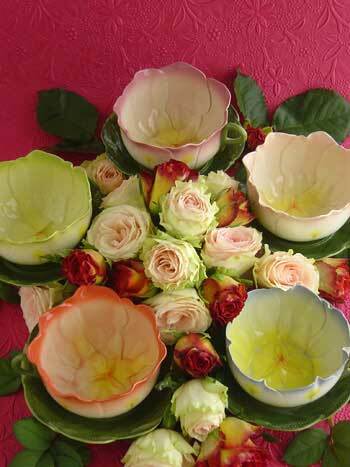 Once you put it on the table it is not just for serving, it is also a colorful, unique item that brightens up the table and helps to create the desired atmosphere.